We’re giving away an fantastic Go Fish Cam. 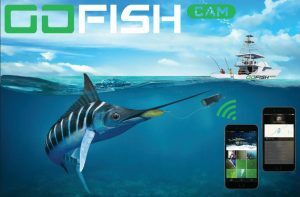 GoFish Cam is a wireless underwater camera that sits on your fishing line and works with the Go Fish Cam iOS or Android app. You’ll be able to capture action-packed footage of fish following and hitting your lure, gain insight into the underwater fishing experience, and review and share awesome video content on social media. You need to login to enter this competition. If you are not a member, please register first to enter. You need to be a registered user to enter the competition.